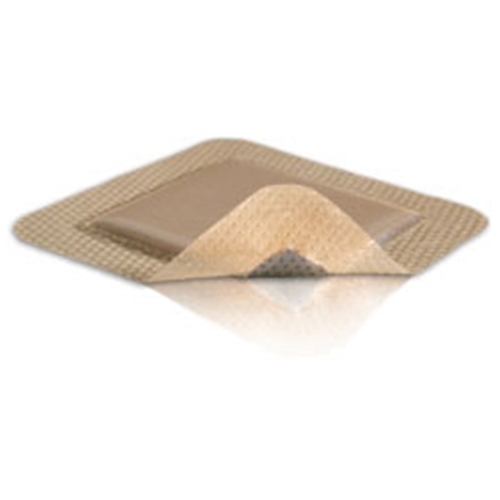 Molnlycke Mepilex Border Ag Wound Dressing from HealthyKin.com is an antimicrobial all-in-one foam dressing that effectively absorbs and retains exudate and maintains a moist wound environment. The Safetac layer seals the wound edges, which prevents the exudate from leaking onto the surrounding skin and minimizes the risk of maceration. The Safetac layer ensures that the dressing can be changed without damaging the wound or surrounding skin or exposing the patient to additional pain. Mepilex Border Ag inactivates wound related pathogens within 30 minutes with sustained effect up to 7 days. By reducing the number of microorganisms, Mepilex Border Ag may also reduce odor. Mepilex Border Ag is designed for medium to high exuding wounds such as leg and foot ulcers, pressure ulcers, partial thickness burns, traumatic and surgical wounds, where a moist environment, exudate management, gentle fixation and antimicrobial action is indicated.